Earlier this week, I did a blog post that gave a little tour of my new studio space. A few weeks back, some special guests came into the studio for the first shoot in the space. It was a very exciting day! 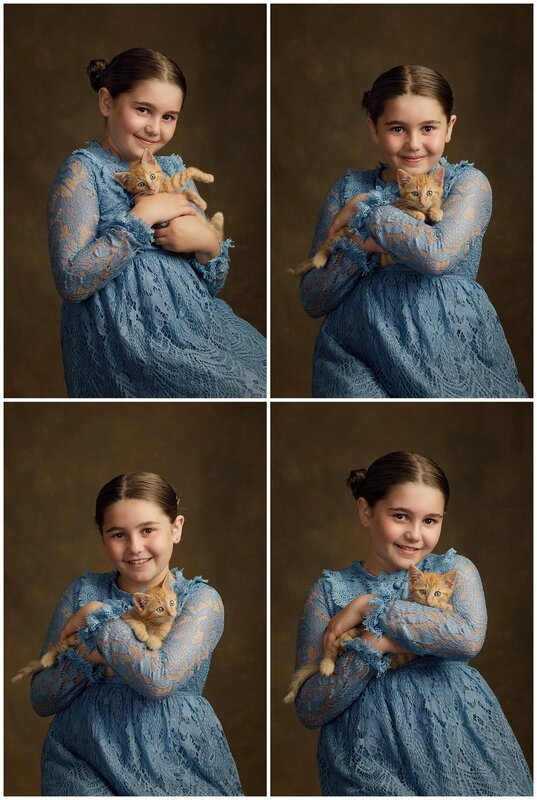 Not only because as a RI children's photographer, studio shoots are really fun to do...but because a CAT came to visit the studio! Yes, that's right. Nacho the cat (follow him on Instagram at @nachokitty16; you won't be sorry) came along with his favorite human. He was definitely ready for his close up, and this cat lady was more than happy to have a furry fuzzball in for a visit. Yes, Nacho was a little rowdy. Yes, he may have been a slight diva. When you're that cute, though, you can afford to be. Nacho's favorite human, on the other hand, is very cooperative and lacking in diva tendencies. 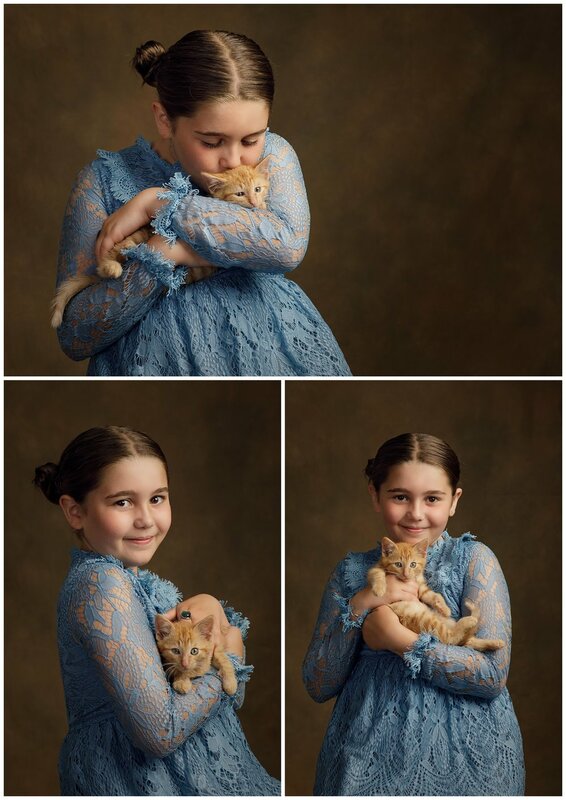 She wore a lovely blue dress that matched Nacho's eyes perfectly, and we got some great photos of her with her kitty and by herself. I'm so happy with how well the new space works for sessions, and am looking forward to lots more there. 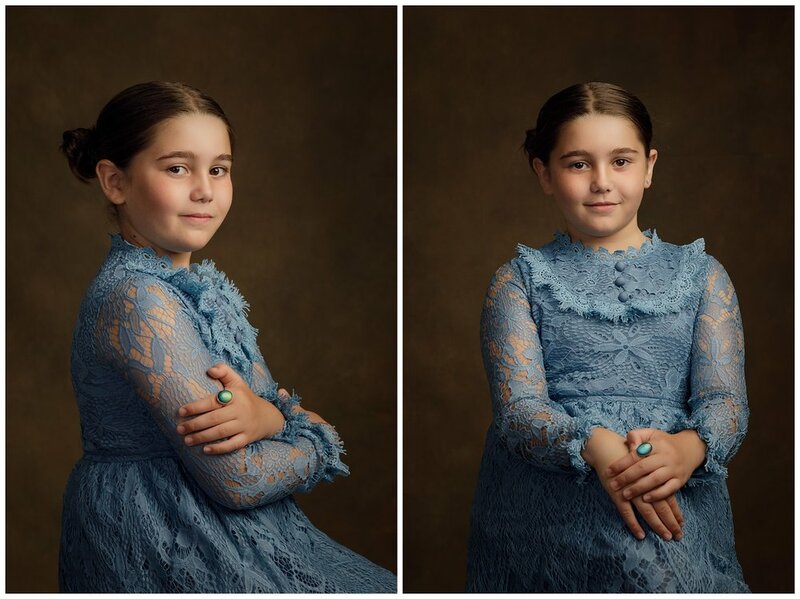 It would be great place for an alternative to your children's traditional school photo....maybe your furry friend can also come? Take a look below to see some photos of Nacho and his human.